I’m so happy for you to join our Marvelous Journey! 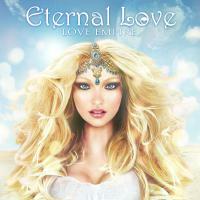 On this Beautiful Way to Love Empire you’ll see Angels of Love and hear their Fabulous Songs. A Beautiful Mystery will open your mind and Heart to new feelings. A Delightful Gift from Heaven will make your Life more Vivid. You’ll see unforgettable Miracles of Heaven and meet a Princess of the Love Empire. Then you’ll dance together on the annual Carnival of Feelings in the Heart of this Captivating World. And if you decide to walk in an Enchanting Forest, you’ll see a life giving, Fascinating Spring of Life. You can drink from it and even dip into it. Sounds Fantastic, doesn't it? But everything in this Great Love Empire is real!